THE YEAR IS 1965. Bob Dylan has just completed two weeks of touring in England. He is tired—exhausted actually. He needs a break. There is a tiny cabin in upstate New York where he can stay, where he can get away from it all, where he can find himself. After returning from Europe, he does just that. It’s him and his motorcycle. No more songwriting, no more guitar, no more pressure, no more responsibility. Hell, he might start working on a novel. Little does Dylan know that his attempt to clear his head will actually spark a creative re-awakening. These are just the opening lines to a legendary song, but before long, on June 15, 1965, Dylan cuts “Like a Rolling Stone.” Even John Lennon is amazed by his achievement. THAT IS THE STORY Jonah Lehrer tells in “Bob Dylan’s Brain,” the first chapter of his new book on creativity. The words are mine, but the breathless style and the use of italics are his. According to Lehrer, Dylan’s creative outpouring was a result of the time he spent away. As Lehrer explains, “The feeling of frustration—the act of being stumped—is an essential part of the creative process.... It’s often only ... after we’ve stopped searching for the answer that the answer arrives.” As Dylan himself said in a radio interview, “I found myself writing ... this long piece of vomit, twenty pages long.” Vomiting out lyrics, Lehrer repeats, was actually a stunning means of creation. In Lehrer’s account, the miracle was not just that Dylan had created a timeless song. He had created a particular type of timeless song. Lehrer quotes the lyrics excerpted above, and asks, “What do these words mean? What is Dylan trying to tell us? ... These questions, of course, don’t have easy answers. This was the thrilling discovery that saved Dylan’s career: he could write vivid lines filled with possibility without knowing exactly what those possibilities were.” Before June 1965, Lehrer explains, there were only two ways to write a song. The first was to wallow in seriousness—“melancholy and complexity”—and the second was to “compose an irresistible jingle full of major chords.” But no longer. By taking a step backward, Dylan took two steps forward. And there was more: Dylan, amid his vomiting and spewing, somehow managed to coin words. Lehrer’s contention is that the particulars of the song’s creation tell us about the workings of the brain’s two hemispheres, the left (“the literal definition of the words”) and the right (“hidden connections,” “alternative approaches”). When people are frustrated or tired, they tend to look for right-brain alternative approaches. Right-brain tissue, Lehrer adds, shows activity before an epiphany strikes. Dylan had apparently reached a point in his career where the literal definition of words was no longer enough. By removing himself from the spotlight, he was able to find the crucial hidden connections that are the poetry of his music. The reason for dwelling at length on Lehrer’s consideration of Dylan is that almost everything in the chapter—from the minor details to the larger argument—is inaccurate, misleading, or simplistic. The small stuff is less important: Dylan did not go upstate immediately after his English tour—he went away with his first wife. Nor did he coin the word “juiced,” which was in wide circulation and which he was likely to have heard before. (Billie Holiday used it in her autobiography.) Dylan’s time away, moreover, lasted only several days. Lehrer’s ridiculous implication is that Dylan took no other similarly short breaks in his life, but he does not make any effort to back up his assumption. More worryingly, Lehrer’s weightier confusions cast doubt on his glib interpretations of brain experiments. There are many songs whose meanings are unclear after forty words—“Mr. 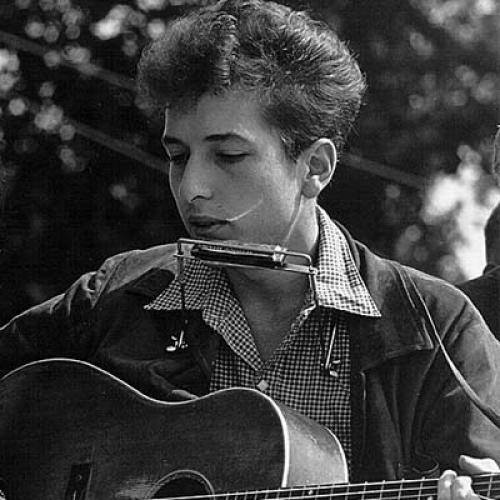 Tambourine Man,” written a year earlier and thus before Dylan’s “breakthrough,” comes to mind. And yet Lehrer is astonished that this particular song’s opening is difficult to decipher (because, remember, Dylan was just vomiting—nothing was making sense, until, eventually, it did). And Lehrer’s dichotomy—marking off the two ways that one creates a song—does not allow even for, say, Bringing It All Back Home, the Dylan album that was released earlier that year, and contains a variety of styles. And before Dylan there were the Surrealists, and before the Surrealists there was Rimbaud—whom Dylan proudly cites as an influence. Bob Dylan did not invent obscure or esoteric lyrics. The argument is further muddied when, after repeatedly noting that a “ghost” was in control of Dylan, Lehrer adds, regarding simple love songs, that “such predictability is precisely what Dylan wanted to avoid.” So was it the ghost’s intention or Dylan’s intention that produced these obscure lyrics? (And what is the neuroscientific status of a “ghost”?) Anyway, most of the song is relatively easy to interpret, further clouding Lehrer’s left/right distinction. Mystery in words and music is established in many ways, and often in accordance with the plain meaning of words. The Basement Tapes demonstrated this beautifully. One of his examples is the remarkably successful Minnesota Mining and Manufacturing Company, known as 3M. Lehrer explains that where other companies demand constant focus on specific problems, 3M encourages breaks and rest. Employees at 3M are told to take an hour out of their days and spend it thinking about, or pursuing, new ideas. Lehrer quotes from a brain study showing that alpha waves, which emanate from the right hemisphere, are an important aspect of creativity—Lehrer uses the words “creativity” and “imagination” synonymously—and since these waves appear to be activated by rest and leisure, they must be the crucial facets of the imagination. It would be foolish to deny that there is some truth to many of Lehrer’s claims, however sloppily or broadly they are expressed. Anyone who has ever worked on a crossword puzzle can attest to the feeling of being stumped, withdrawing, and then returning to the puzzle with an answer. Sometimes a break from thinking can be the best aid to thinking. But this is true of many activities that become difficult or tedious owing to repetition or routinization. Lehrer’s eureka is rather banal. IMAGINE is a collection of stories—all pop-science these days must be translated into stories, as if readers, like children, cannot absorb the material any other way; but some of Lehrer’s stories do not necessarily support his thesis, and some of them contradict it. Consider the tale of Don Lee, who worked as a computer programmer before deciding to embark on a life of inventing cocktails. At this he has succeeded: he is currently the head mixologist at one of David Chang’s restaurants. Lee’s creation of a bacon-infused cocktail, Lehrer notes, can be attributed to the fact that Lee is an “outsider.” “It’s a parable about the benefits of knowing less—Don was a passionate amateur—and the virtues of injecting new ideas into an old field.” This story is only a slight variation on the previous discussions of horizontal thinking, conceptual blending, and the glories of the right hemisphere. Lehrer concludes the chapter by noting that “knowledge can be a subtle curse. Lehrer cites several studies in this chapter—that living abroad makes you better at problem-solving; that subjects performed better on tests when they were merely told that the tests were conceived overseas. He also describes creative breakthroughs that were the result of scientific work outside of the scientists’ particular field. Sometimes chemists solve physics problems, and biologists solve chemistry problems, and so on. Sure. But sometimes chemists also solve chemistry problems. Indeed, they do so more frequently than biologists. Lehrer’s slippery language is crucial to his method. He writes, “The people deep inside a domain—the chemists trying to solve a chemistry problem—often suffer from a kind of intellectual handicap.” A page later he notes that “the young know less, which is why they often invent more.” In both cases, the crucial, slippery word is “often.” In the first instance, Lehrer is just stating an obvious fact—a fresh look may be useful, an outsider can see what an insider may overlook—but one which does not explain much. In the second instance, the “often” completely destroys the point of the sentence. Do the young invent more, or not? No doubt in the entire history of humanity, the young have “often” come up with inventions. But how often, exactly? And what does he mean by young? In the ancient and medieval and early modern centuries, and even into the nineteenth century, thirty or forty was not young. Their dates of birth are not all we need to know. The problem keeps recurring. Of a surfing expert with Asperger’s, Lehrer writes, “Clay’s ability to innovate in surfing is rooted in a defining feature of his mental disorder.” Is Lehrer saying that Clay’s surfing expertise is the result of his disease, or merely that certain properties of the disease may lead to success in fields like surfing? Are there an unusually high number of surfers who suffer from Asperger’s? We are not further enlightened. Lehrer may want us to believe that creativity is essentially abnormal, medically or socially or intellectually; but the history of creativity is riddled with geniuses who worked within the conventions and in the centers. So, perhaps sensing that he has made himself a hostage to fortune, Lehrer also assures us that sometimes rest and relaxation, or outsider status, or a lack of knowledge, is not really the secret to creativity. Sometimes the secret is, in fact, hard thinking. In a brief discussion of Auden, he writes that “September 1, 1939,” feels as if “it were composed on the back of a cocktail napkin,” but assures us that this “ease” is an illusion, and that the poem required a lot of hard work. This is one of the features of Lehrer’s genre: make an absurd claim, and then act as if you alone have the insight to knock it down. It is ridiculous and condescending to conclude from even a perfunctory reading of Auden’s poem that it could have been jotted down on a cocktail napkin. Lehrer goes on to say that sometimes inventions do not come until one can “think no more,” and that an obsessive focus is crucial. Uh-huh. So the lesson of Lehrer’s hot book is this: creativity comes from intense thinking, or it doesn’t. IMAGINE is really a pop-science book, which these days usually means that it is an exercise in laboratory-approved self-help. Like Malcolm Gladwell and David Brooks, Lehrer writes self-help for people who would be embarrassed to be seen reading it. For this reason, their chestnuts must be roasted in “studies” and given a scientific gloss. The surrender to brain science is particularly zeitgeisty. Their sponging off science is what gives these writers the authority that their readers impute to them, and makes their simplicities seem very weighty. Of course, Gladwell and Brooks and Lehrer rarely challenge the findings that they report, not least because they lack the expertise to make such a challenge. The irony of Lehrer’s work, and of the genre as a whole, is that while he takes an almost worshipful attitude toward specific scientific studies, he is sloppy in his more factual claims. (In one low moment, he quotes an online poll from Nature magazine to support one of his arguments.) I am not an expert on brain science, but for Lehrer to quote a study about the ability of test subjects to answer questions when those questions were placed on a computer screen with a blue background, and then to make the life-changing claim that “the color blue can help you double your creative output,” is laughable. No scientist would accept such an inference. This superficiality is a tip-off about the book’s intended audience. Imagine is another manual for self-styled entrepreneurs. Lehrer’s definition of creativity is essentially an entrepreneurial one: for him, anything that succeeds is creative. I mean this in two ways. First, any product that sells, from a mop to a drink, is a sign of creativity. It would follow from Lehrer’s approach that a study of movie box office numbers would prove that there must be something remarkably creative about Transformers. Second, and more worryingly, artistic and commercial “creations” are evaluated in exactly the same terms. Consider Lehrer’s story about the Barbie doll—or rather the story of Ruth Handler. Handler traveled to Europe in the 1950s and saw a toy doll of a grown woman. The doll was intended for middle-aged men. But Handler, remembering that her daughter often gave her girl toys adult personalities, assumed that the toy was for kids. Handler told her husband, a Mattel executive, to make a toy of an adult woman, and pretty soon Barbie was born. As Lehrer notes, if Handler had known that the European toy was not meant for children—if she had not been an outsider—she would never have suggested the toy in the first place. But Handler was not remotely creative. She made a useful mistake. Her story has nothing to do with the imagination or creativity, at least as properly understood, or even as previously described by Lehrer. I suppose it is intended to prove that outsiders can cause breakthroughs; but if outsider intuition is to be defined as any random notion based on error or coincidence—as anything that anybody might say—then the notion is too loose to ground a theory of discovery. Finding yourself sick for a weekend can lead to the discovery of a good television program. All of this really has nothing to do with Bob Dylan writing lyrics or a chemist solving a physics problem. The chemist, in Lehrer’s scenario, was presumably approaching the problem from a new or interesting entry point; but even though he was not trained in physics, he was trained in scientific reasoning and procedure, and was therefore not quite the pure outsider that Lehrer reveres. As for Handler, she was just confused. Lehrer does not see creativity or imagination as being intricately connected to art, or to science, or to anything that we would generally term “imaginative.” It is all about success. Dylan writes successful song lyrics, and Barbie dolls sell. A Nike executive is reminded of Gary Gilmore’s famous alleged last words, and is thus able to coin the slogan “Just Do It.” Lehrer’s unwillingness to distinguish between these types of thinking, between art, science, and commerce, is discouraging. Inside or outside, the only place that finally interests Lehrer is the marketplace. Thus, he discusses the creative culture at Pixar in an attempt to explain why the company has been so successful. His explanation—that it hires employees from diverse backgrounds and allows them to freely interact with one another—seems plausible enough. What’s more, Pixar is physically designed to encourage interactions between employees. “It is the exchanges we don’t expect, with the people we just met, that will change the way we think about everything.” But the problem of differentiating between artistic distinction and commercial distinction is especially problematic here. You can certainly argue that Pixar’s success has been both. But when Pixar workers generate new ideas, are they doing so for artistic or commercial reasons, or a combination of the two? Are these interactions helping Pixar make better movies, or more money, or both? If the films were just as good but sold fewer tickets, would Lehrer still admire them as he does? Of course there can be some overlap in the answers to these questions, and certainly creativity may be involved in an effort to make money. (Remember credit default swaps?) But if you are trying to explain the most ambitious and the most admirable exertions of human imagination and intelligence, some disaggregation, some discrimination, is necessary. THE SECOND HALF of Lehrer’s book is even more perfunctory. He makes an intuitively convincing case that group discussions are most effective when they involve criticism, allowing group members to more fully engage with different arguments. (Though there are studies—see, anybody can play this game!—that show that this scenario leads to polarization and hung juries.) The same can hold true in a societal context. Borrowing (heavily) a page from Edward Glaeser, Lehrer is a cheerleader for cities because they allow different kinds of people to interact with one another. “It is the human friction that creates the sparks,” he writes. This, too, seems intuitively right, but the way Lehrer deploys his “studies” to prove his point is troublesome. He quotes one that shows people to be better at solving problems when in the same physical space, as opposed to online. This is hardly evidence for the success of urban spaces. Physical reality is a big place. How many people, and in how large a space? I’m sure that there are other studies showing that online “friction”—there is certainly plenty of it—is a boon to problem-solving and innovation. Lehrer also turns to history to make his case. Shakespeare, he writes, was destined for a life of drudgery, before being “saved by his time.” Since Elizabethan England was welcoming of a literary culture, and since it had such robust theater attendance, and since its rates of literacy were rising, Shakespeare thrived: “While Shakespeare is often regarded as an inexplicable talent—a man whose work exists outside of history—he turns out to have been profoundly dependent on the age in which he lived.... Shakespeare is a reminder, in other words, that culture largely determines creative output.” Lehrer contrasts this with a subsequent period, beginning in 1642, by noting that “the creative flourishing of English literature was brief.” Never mind Milton, and Dryden, and the rest. So Shakespeare’s culture made Shakespeare? But then this creative genius must have been inside it. Yet according to Lehrer’s theory he must also have been an outsider. I guess he was an outsider-insider. And suppose that Shakespeare had been an open Catholic, or that an open Catholic with his talents had existed in his age: he would never have been comparably successful. This may actually support Lehrer’s claim that the time makes the man, but it tells us next to nothing about Shakespeare’s particular genius. It may have been more likely that Shakespeare would emerge from Elizabethan England than Kim Jong Il’s North Korea, but such an insight is neither interesting nor surprising. Nor is it clear whether it is Shakespeare’s popularity or his genius that we are supposed to be evaluating. Presumably Lehrer would celebrate Shakespeare even if he sold very few tickets, but maybe not. Whoever sold more tickets than Shakespeare would have possessed the imagination most in need of explaining and imitating. The appeal of Lehrer’s stories is obvious. As he said in a recent interview, “Creativity is a universal talent.” You, me, all of us. What good news! Lehrer’s stories are so cool and easy to grasp because they are so uplifting, and they are so uplifting because they erase certain crucial distinctions between the realms and the methods of creativity. Nothing is more soothing than quick answers to life’s mysteries. “For the first time in human history,” he notes near the end of the book, “it’s possible to learn how the imagination actually works.” Really? Is he aware of the immense non-scientific literature on the “actual” imagination that preceded him? In an earlier book called Proust Was a Neuroscientist—a title for our times—Lehrer at least recognized that the novelist preceded the scientist to certain understandings. Not here—although his “solutions” would make a serious scientist blush. His success is certainly undeniable, but his book is a failure of the imagination. Isaac Chotiner is the Executive Editor of The Book: An Online Review at TNR.com. This article appeared in the June 28, 2012 issue of the magazine.